One of the best parts about living in South Florida is the fact that we have fresh seafood readily available. 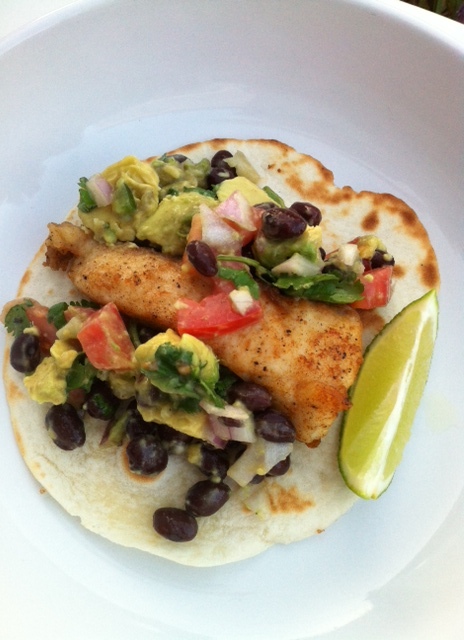 These tacos can really be made with any firm white fish (mahi mahi, tilapia, halibut, etc.) or even with some grilled shrimp! 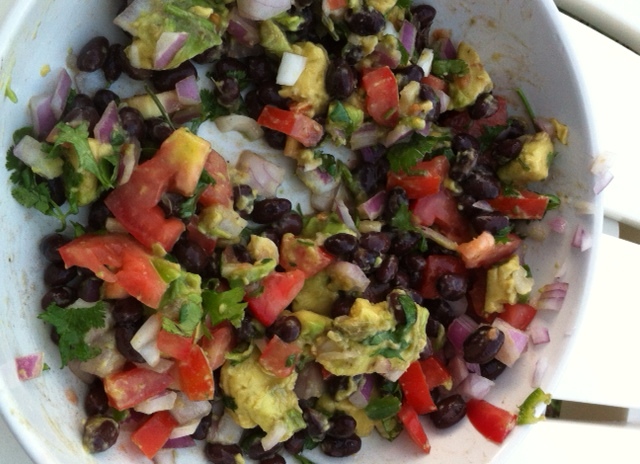 The avocado salsa is fresh, easy, and relatively low-fat. You can really add whatever you want to the salsa (corn, black olives, etc) to make it your own. These are the ingredients I had on hand so that’s what you’re getting! 😉 I added some cumin and chili powder to the flour when I dredged the fish but it’s not necessary if you don’t have any on hand…. In a pan heat up some peanut oil over high heat. 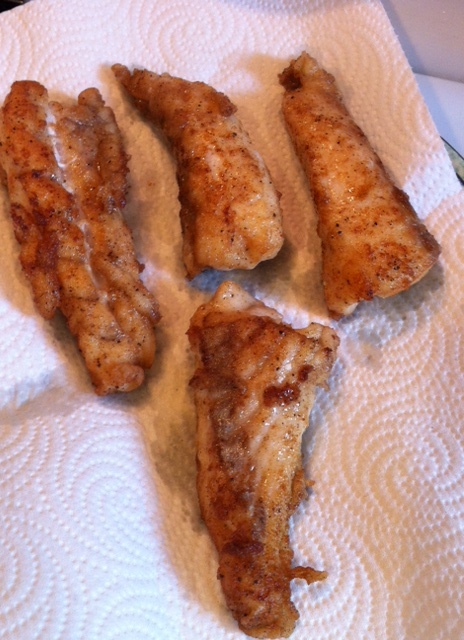 Dredge the fish in the flour mixture (cumin, salt, pepper, chili powder) and place in the pan. Make sure your fish is patted dry before you dredge it. It will get a better sear that way! Once it’s brown, flip it over. 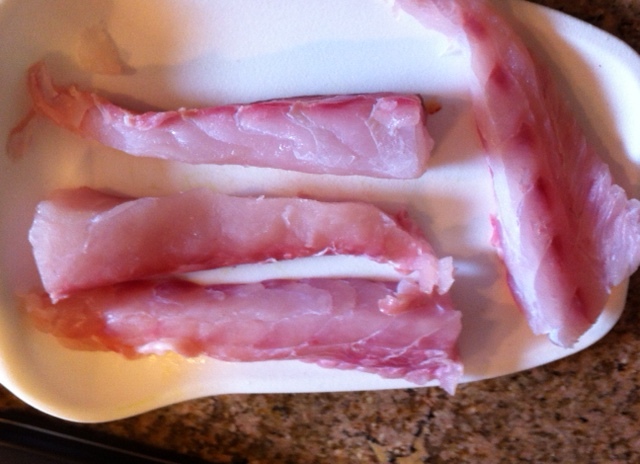 When the fish finishes (shouldn’t take long, depends on how think your cut is) place aside on a plate with paper towels. Warm the tortillas in the toaster oven or on a pan to get them a little crispy. Place a strip of the fish in the warmed tortilla, cover with the salsa, maybe some more lime juice (I like it really lime-y) and voila! 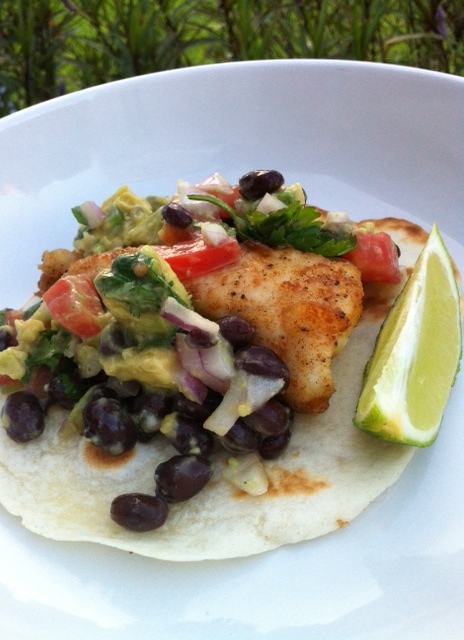 Summery, light fish tacos! !